“Investing in teenage girls,” the theme for 2016, is especially significant given that so many girls, notably in the developing world, are considered by their communities or parents to be ready for marriage and motherhood at a young age. As a result, they are forced from school early on, damaging their future prospects.Even for those who stay in school, access to basic information about health, human and reproductive rights are often difficult to obtain, leaving them vulnerable to illness, injury and exploitation. Yet we know that when teenage girls are empowered, when they know their rights and are given the tools to succeed, they become agents of positive change to the benefit of themselves, their families and their communities. It’s estimated that every second there are 4.3 births and 1.8 deaths—a net gain of 2.5 people per second on the planet. 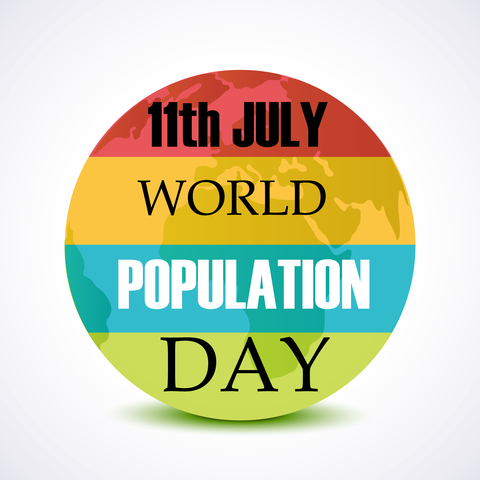 According to the UN, the world reached 7.3 billion people as of mid-2015. About 1.8 billion people around the world are between the ages of 10 and 24—the largest population of young people ever. In fact, over half the world’s population is under 30 years old. The difference in average life expectancy between people in developed countries and poor nations is about 20 years (77.1 years compared to 55.9 years). Sub-Saharan Africa has the lowest average life expectancy at 51.5 years, while Western Europeans (80.3 years) and North Americans (79.3 years) enjoy the highest. In 1800 only 3% of the world’s population lived in cities. However, about half of humanity now lives in urban centers. It’s expected that by 2050, nearly 70% of the world’s population will live in cities. You can help support the cause by signing our petition and sharing. PIC is the voice of Canadians concerned with overpopulation and its negative human and environmental impact. Founded in 1992, it campaigns to increase support for reproductive health and education and for universal, voluntary access to family planning, which the UN notes “…could bring more benefits to more people at less cost than any other single technology available to the human race.”Fact: Continued global population growth, together with overconsumption, is incompatible with a healthy, sustainable future for humanity and our planet.